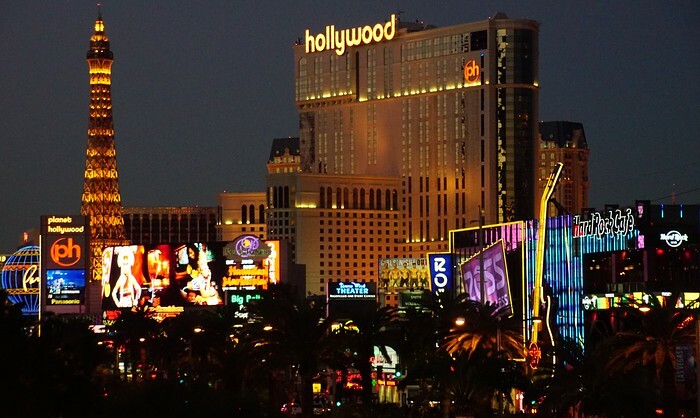 This is a guest post by the talented travel blogger Rhonda Mix. Why Teach English in Taiwan? 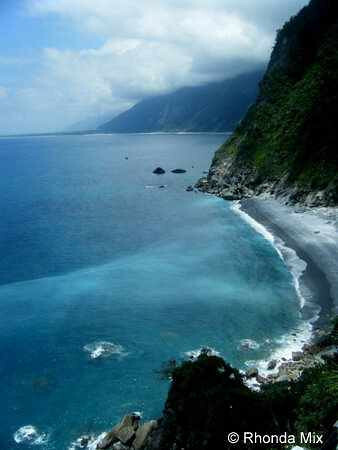 One of the best places for teaching English overseas is the small but spectacular island-nation of Taiwan. For those of you who don’t know, and often confuse Taiwan with Thailand or some place in China, the country is located 60 km (99 miles) from China, across the Taiwan Strait. After living in Taiwan for a little over two years, I fell in love with the beautiful island. Taiwan is so much more than a high-tech urban jungle that exports products to the U.S. And Canada; it’s a multi-faceted nation that will appeal to the most adventurous of travelers. But first—let’s talk about teaching/living here and what you can expect. How does one find a job in Taiwan? Avoid recruiters/placement agencies if at all possible. While some of them are legit, the majority of these headhunters place teachers in shady schools with equally shady contracts. Naively, I made the mistake of signing on with one such school through a recruiting agency while I still remained in the U.S. I stayed at the school for only a couple of months before finding a much better job on my own after I discovered the school ran on unscrupulous business practices. Word of advice? Secure a 90 day tourist Visa and look for jobs to begin the ARC process asap when you arrive in the country. Visit the schools, talk to the employees, do online research on bulletin boards and forums. One of the best places to find legitimate jobs is Tealit.com. During my two years living in Taiwan I worked for two wonderful schools I found through this site. Though the pay is not quite as high as Korea, most English teachers can expect to live comfortably and save at the same time due to the low cost of living. An average starting salary is around 60,000 NT per month (about 1,933.55 U.S. Dollars). Apartments are fairly cheap depending on where you choose to live and some schools offer subsidized living as part of the employment agreement. Some schools offer a bonus and/or flight home as a reward for completing the duration of your contract. The hours and days you work will vary from school to school so this is important to understand when looking for a job. Some schools will offer weekends off while others require working weekends, various shifts, and even traveling to various branches of the school. Another reason why it’s critical to do your research before signing a contract. What’s teaching in Taiwan like? I really enjoyed teaching ESL in Taiwan. My personal favorites were the little kids—these kids came in knowing absolutely nothing and I started them on the basics, such as ABC’s. By the end of the year they were reading short books and sending me text messages on my phone. With this age group a lot of drawing, miming, acting, music, and flash cards will come in handy. I also taught grade-school and junior high aged students. These students were a little more difficult as their Chinese school schedules can become very hectic and the last thing they want to do is sit and hear their foreign teacher blab away at the buxiban at the end of the day. For these kids it’s best to have entertaining games and group activities available to keep their attention. A great place for gathering ideas is Dave’s ESL Cafe. What’s living in Taiwan like? Be prepared for an assault on your senses. Taiwan is not for the faint of heart and from personal experience you’ll either love it or hate it. The cities can be chaotic—be prepared to dodge an endless parade of scooters, cars, trucks, food vendors, elderly people riding bicycles and motorized wheelchairs, pedestrians, and aggressive street dogs at any given moment. Pedestrians do not have the right-of-way and traffic lights are optional. If you’re up for the challenge, driving is quite the adventure and also extremely dangerous, so be on guard. Public transportation, such as the MRT, HSR, or bus system can be very crowded as well. Locals will be violating your personal space on all levels. People walk fast, talk fast, and frequently don’t look where they’re going. 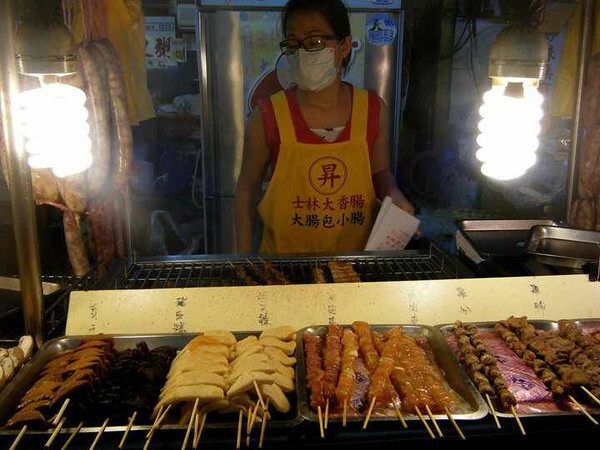 Sometimes the stench from the sewer vents rises up in the heat of the summer…competing for the stinkiest award with the stinky tofu vendors lining the streets. Despite these unpleasantries however, Taiwan has more positives than negatives. The cities, crowded as they are, depict a colorful blend of tradition and modernity. 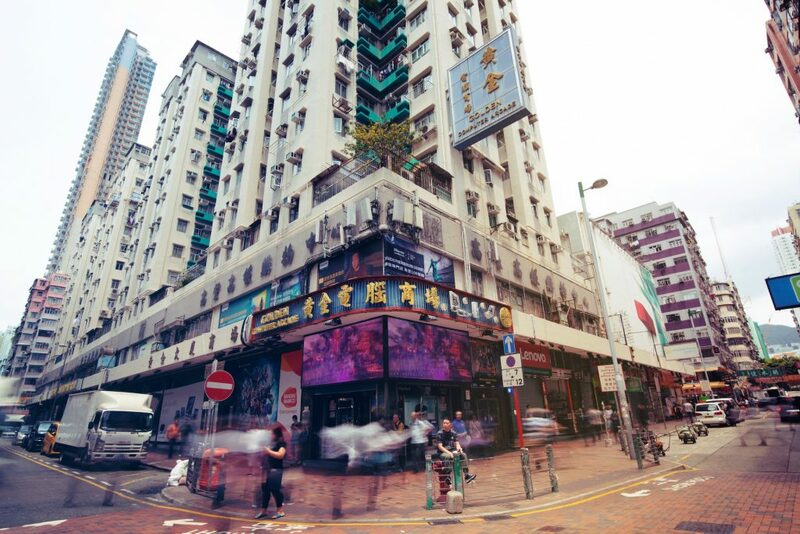 Temples and lively food markets spring up between shopping malls and business districts. Outside the cities, in the Taiwanese countryside, the mountains, villages, and coastline ignite a passion that seduces and enchants those looking for an escape from city living. I fell in love with the more remote regions of Taiwan. In these regions visitors will discover Taiwan as it once was, a truly majestic island full of mystery and deep cultural roots. Some of my favorites include Yangmingshan Mountain and its hot springs, Shilin Night Market, Taroko Gorge and Hualien, Sun Moon Lake in Nantou, Kaohsiung, Sun Link Sea, Hehuan mountain, Chingjing Farm near Puli, Maokong Tea Fields, and Fulong beach. Other hotspots are Kenting National Park, Jade Mountain, Orchid Island, Green Island, and Penghu Island. There are many more beautiful places for nature lovers, hikers, climbers, surfers, and outdoor enthusiasts to discover as well. If you want to live in Taiwan, you must keep an open mind and open heart. The people of Taiwan are some of the nicest you’ll meet but at the same time foreigners should not take advantage of their hospitality. Though many Taiwanese do speak English, it’s best to learn as much Mandarin as you possibly can, especially if you’ll be working in the more remote regions where English is very rarely spoken. 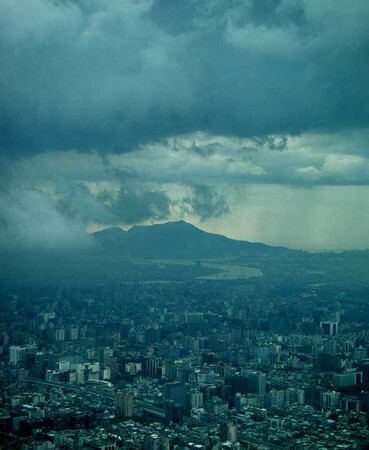 For more information on living/working in Taiwan, please visit Tealit’s ARC, Working, and Contracts page. 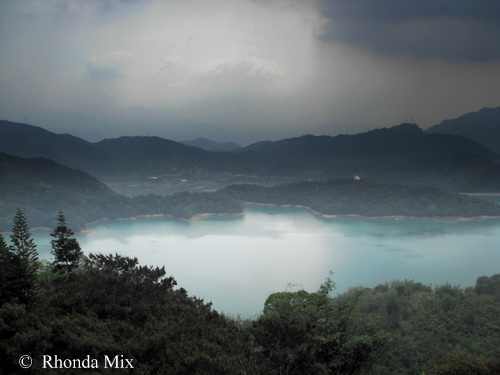 This is a guest post from Rhonda Mix – a freelance photographer & writer with extensive experience living overseas, traveling abroad and teaching English in Taiwan. Connect with Rhonda on her popular travel blogs Bamboo Butterfly & Midwestern Adventures and be sure to follow her on twitter and facebook as well. This is such a joyful way to learn English in Taiwan. I’ve been doing a research paper about Learning English in Taiwan and it came up that it’s not that easy to find resources to it. I will just let you know that I will save this as one of my references to my review and hope this will be a nice choice. I would like to apologize for the foul reputation that some of the recruiters have branded themselves with. Most of the “horrible recruiters” are probably independent recruiters working for themselves, thus scamming teachers and schools for a higher profit. But please do not categorize all recruiters to be dishonest and a scam. My name is Roy, I am a recruiter from Dewey International, a multinational company, and the largest and most professional of our kind in Taiwan. We offer transparency and safety to all the teachers who wish to teach in Taiwan. We provide choices of public schools, private schools and cram schools for those who are interested. Accommodation and Air fees (single or with spouse), airport pickup, insurance, work permits and ARC’s are provided. 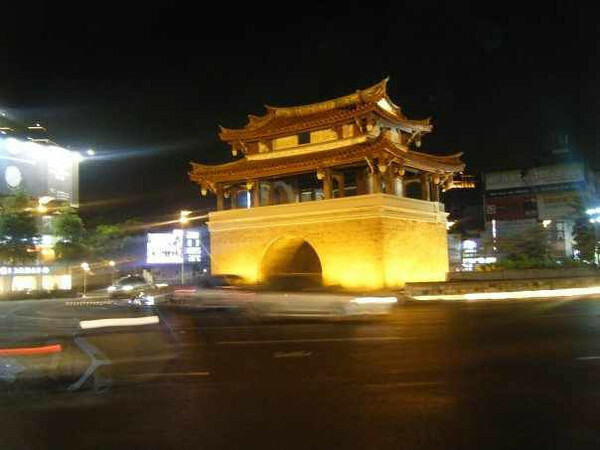 We will personally assist you in any problems you will encounter while living in Taiwan, like finding a suitable apartment near your school, driving you to interviews, getting a scooter/bike/car, showing you the best places to visit or shop, and even occasionally checking on you in school to see how you are doing(with you permission of course). Of course we are still “recruiter”, we all have to make a living, BUT we do not charge anything from the teachers. WE CHARGE ONLY THE SCHOOLS FOR OUR SERVICES. Rest assured you will not have to pay a single dollar to us. We also filter, select and match-make the most suitable teachers and schools to ensure the best quality for schools and Teachers alike. We are strictly professional and would like to overturn the awful reputations of recruiters. If you could give me a chance to prove it to you, I would be ever-grateful! Please contact me if you have any questions or are interested in what I have to offer! I totally agree that finding a job through a recruiter in Taiwan is a horrible idea. In my case, the job was horrible but I couldn’t find something else, so I wasted a lot of money on tickets and an apartment deposit. The market in Taiwan is pretty awful for newbies right now. How much are you able to save in taiwan, roughly? I have student loans with payments of around $750 a month and I’d really like to teach in Taiwan but I’m not sure if I’d be able to make those payments. I currently teach in Korea and have a masters in education (but not a teaching license). What do you think? Sorry — you lost me at “60 km (99 miles)”. This was a really good overview on what it’s like to teach English in Taiwan. I’ve been here for 8 years and have traveled quite a bit around Asia. While there are certainly better places to go on vacation, I think Taiwan is one of the best places to live and teach English for a few reasons. 1. You can make a decent salary that should easily cover the cost of living and then some. 2. The cost of living is cheaper than the West by about 50%. It’s not as cheap as South East Asia, but you can live a comfortable life on under $2000 USD a month. 3. The food is cheap and good. 4. One of the safest countries you’ll ever visit. You can be in almost any area at any time and never worry about personal safety. 5. 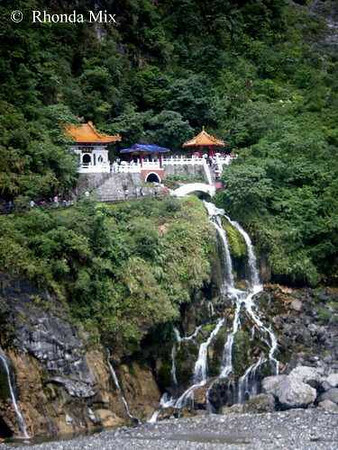 If you like to be outdoors then there is so much you can do as Taipei as it is surrounded by mountains. You should contact Carrie of My Several Worlds. She’s involved in hiring English Teachers in Taiwan. Hi Rhonda! Thanks for your great post! I’m thinking of going to Taiwan to teach ESL next year but I’m just wondering what are the visa options? Do we have to apply for a work visa to do that and how long can we stay? The photos look beautiful, though the driving conditions sound insane. It sounds like you had quite the adventure living and teaching in Taiwan. Thanks for this great resource. I’ll admit that I haven’t really considered teaching in Taiwan specifically, you find more and more information on countries like Japan, China and Korea. I made sure to bookmark the suggested TEALIT website into my ever growing job resource guide for when I make it to Asia. You’re welcome! Yes, definitely check out TEALIT. And in my opinion, Taiwan is probably the best Asian country in which to teach (aside from Korea). Thailand would be nice too but the pay isn’t so great. It depends on what you’re looking for but Taiwan has it all. :) Beautiful scenery, good money, and wonderful people (most of the time!). What a great resource- I’ve thought about traveling and teaching english before, just haven’t figured out where I would want to do it. Hey Jade, it’s a tough decision to make – especially with so many options to consider. Thanks Maria, I think Rhonda did do an excellent job of highlighting both the pros and cons – teaching overseas is definitely full of both. I think its really hard for a teacher to teach English Language to his student if he/she didn’t know a little bit in there 1st language. Right? But the good thing is if you are teaching kids. They learned it in the easy way. In the crucial stage of development kids are have good mind to develop lots of language. There brains are the same with a memocard that if you put an input they can store it directly. Not like the adults trying to learned another language. They struggle for learning it. It’s a little difficult at first but as we’ve all heard, young kids are like sponges so they pick everything up so quickly. From personal experience, it’s best not to use the native language in the classroom that much though knowing some Mandarin of course did come in handy at times. My little kids were much more interested in learning English when we established certain “English only” rules. To be honest, at the end of the year their English was better than other classes who had also started out at the school around the same age but their previous teacher(s) had used Chinese frequently in the classroom to explain English. “Pedestrians do not have the right-of-way and traffic lights are optional.” hahaha I love it. This is a great article with some good advice. I often wondered what would be the best route towards getting a job teaching ESL. I had considered using a placement agency but after reading this I think I’ll veer towards your recommendations of visiting forums and talking to locals. One questions though: How did you manage to get from place to place? Was it through the purchase of a car or is the public transit system just that great around there? Thanks Ronald! Glad you liked it. My first 6 months in Taiwan I got around using public transportation until I finally worked up the courage to buy a scooter (most scooters are passed around from foreign teacher to foreign teacher!). 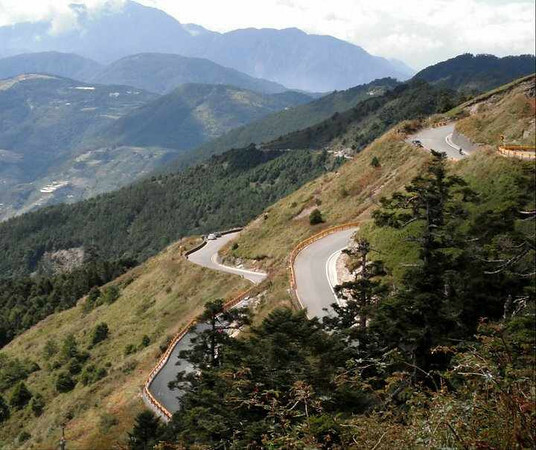 After my first year I felt much more comfortable driving, and my second year I moved to central Taiwan where I lived near the mountains and the pace of life was a little slower. I bought a new scooter, fell in love with the TW countryside, and the rest is history. Every weekend I took my little red Yamaha cruising and became an expert. :) I strongly advise against driving a scooter in Taipei though (which is where most foreign teachers first end up). The traffic is insane and really dangerous. Best to make use of public transportation there. For someone who has never had an experience like this but still have a love for travel, it is interesting to read stories from those who have. Wow the photos are really gorgeous and the children are unbelieveably cute. Thanks Ayngelina! I miss the kids a lot, and Taiwan’s loveliness too. I never realized that about teaching Kindergarten in Taiwan. In Korea, there are probably more Kindy jobs than anything else! It’s actually illegal in Korea as well. It’s one of those “turn the other cheek” type of things – same as Taiwan. Yeah, they’d have an awful mess to clean up if they seriously enforced it. LOL, that’s definitely the truth. Rhonda, thanks for a great post! 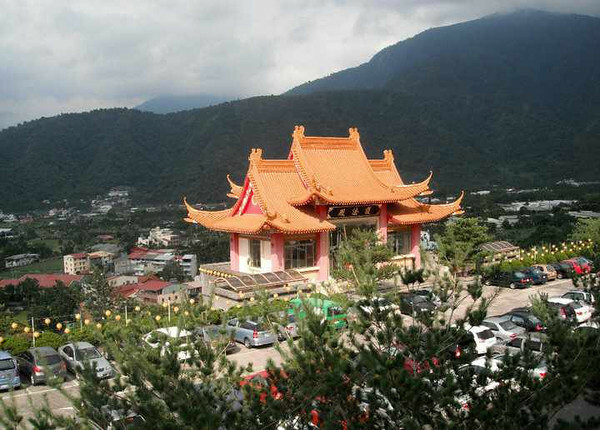 I think Taiwan is definitely one of best destinations in Asia for teaching and traveling. I’ve been in the beginning planning stages of long term travel (again) and just signed up to take an online course to get my TEFL certification. 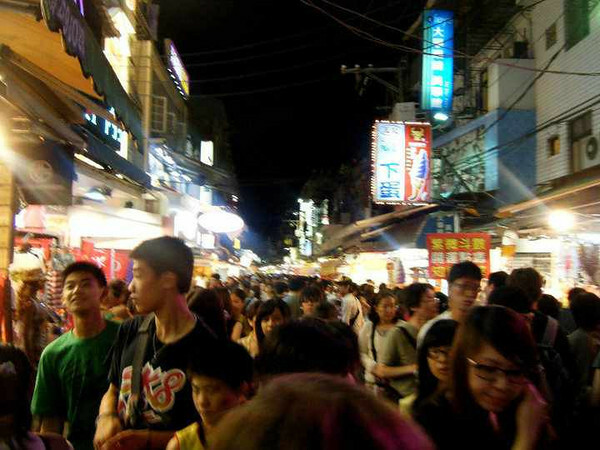 This post was really informative and interesting … while I don’t plan on teaching in Taiwan, the general thoughts and suggestions are really helpful!And, you never know … I say “don’t plan on teaching in Taiwan …” which means I very well could! HAHA, that’s a good point. Sometimes where you least expect to end up you eventually find yourself there. Any ideas where you do want to try teaching first? Well, was thinking Thailand … but my new plan could really lead me anywhere in the world. Likely Europe first, then Asia. Great info. I will remember this post if I ever decide to teach in Taiwan. Ted, I’d love to see you teaching in Asia someday – whether it is Taiwan, Korea or elsewhere. I would love to teach in Taiwan. I have not yet been there but I really really want to! James, I’ve only traveled in Taiwan but I can definitely see why others have stayed to teach and explore. Very comprehensive! I’ve previously taught in Prague and often toy with the idea of going to Taiwan or Korea to teach. Interesting to hear that it’s easy to just turn up and find a job. Apparently it’s the same for China. Roy, I’d be very interested to hear about your experience in Prague. I know one other person who has done that and they absolutely loved it! I plan to write a blog post about it at some stage. There’s not much money in it but the life-experience is priceless. I can imagine. I’ve taught in Korea exclusively for the money but I’m hoping to try somewhere else soon for the experience. Sounds like teaching in Taiwan would be quite an adventure. Great post! Great info. Do you need to have a degree/TEFL to teach in Taiwan? Hey Dean, from my knowledge Korea, Taiwan and Vietnam require degrees but one can find work in China and Japan without one. I’ve always thought it’d be really hard to teach English if you didn’t know your students first language, but lots of people seem to do it and really enjoy it. Hey Sam, it’s a bit intimidating going overseas to teach for the first time but I find you can pick up the language and understand the culture more and more over time.